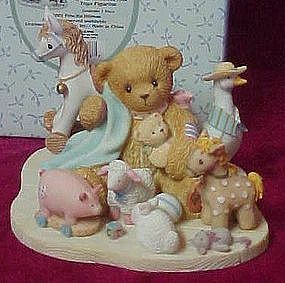 Cherished Teddies Brenna, Nothing Makes Life More Special Than Being Surrounded By Friends. Boy With Blanket and Toys,Figurine #864315. New in box with sealed papers and never been displayed.